Brown your ground beef and drain completely. Then add refried beans, taco seasoning and tomato sauce. 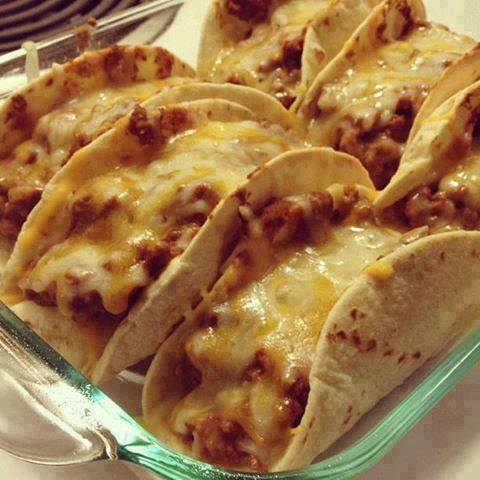 Mix together and scoop into taco shells (stand them up in a casserole dish). Sprinkle the cheese on top and bake at 375 for 10 minutes.